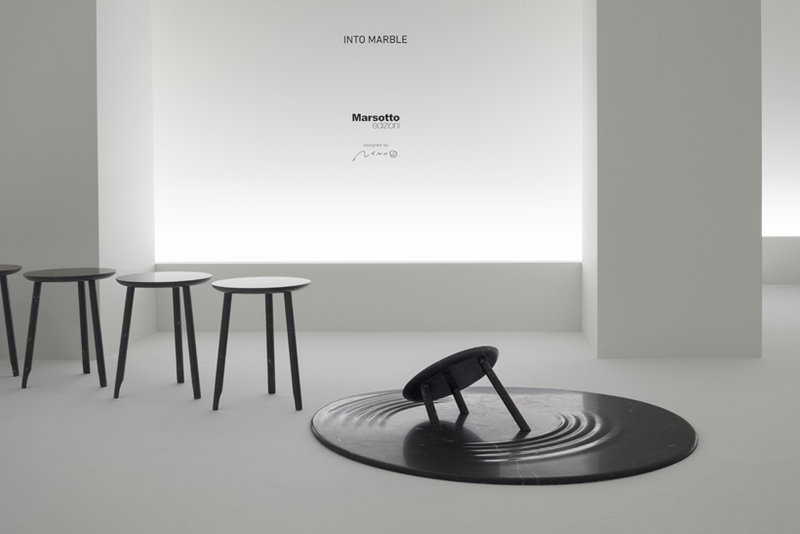 A design for Marsotto edizioni’s exhibition space during Milan Design Week 2018. 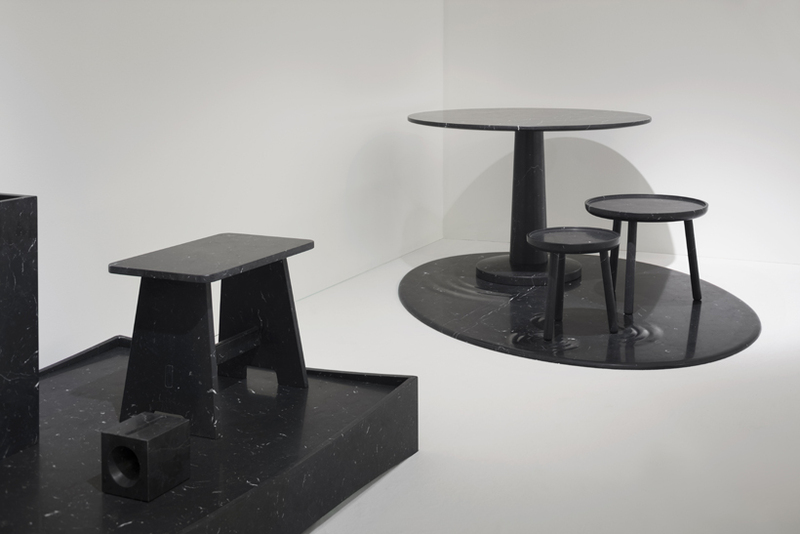 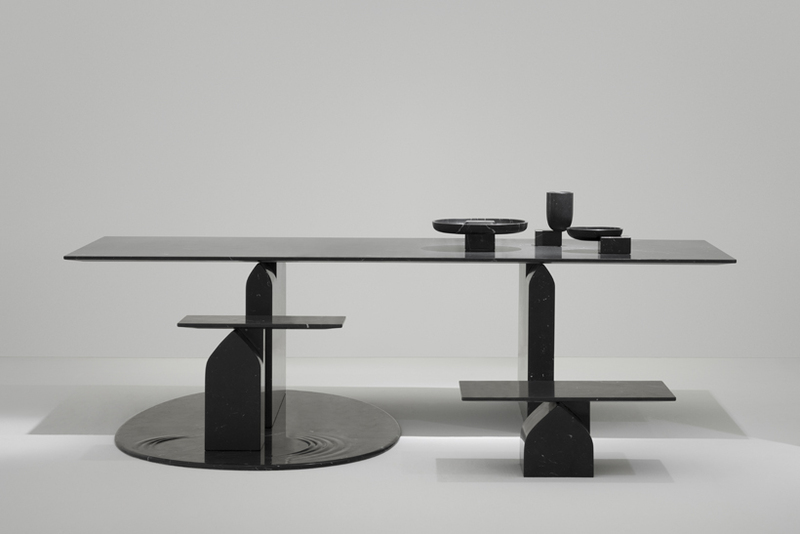 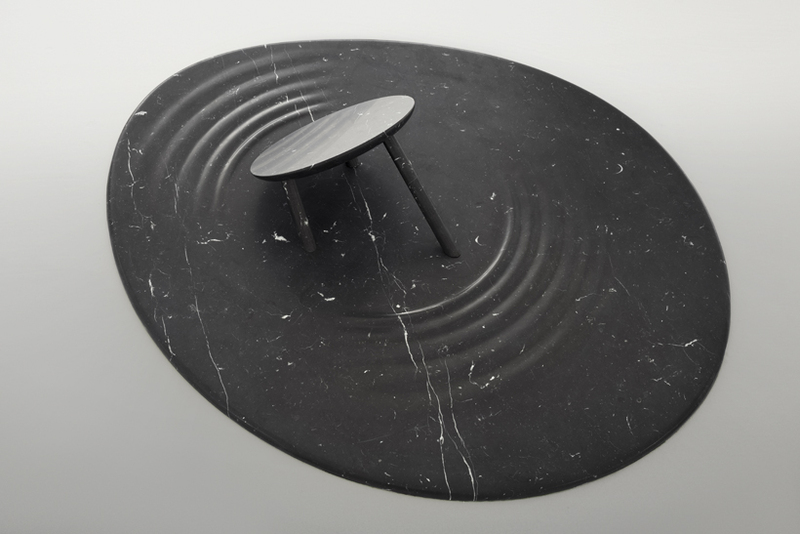 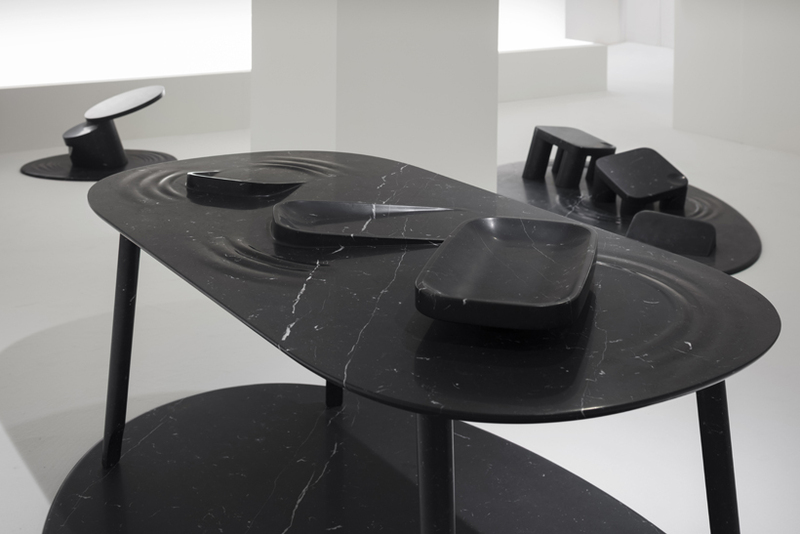 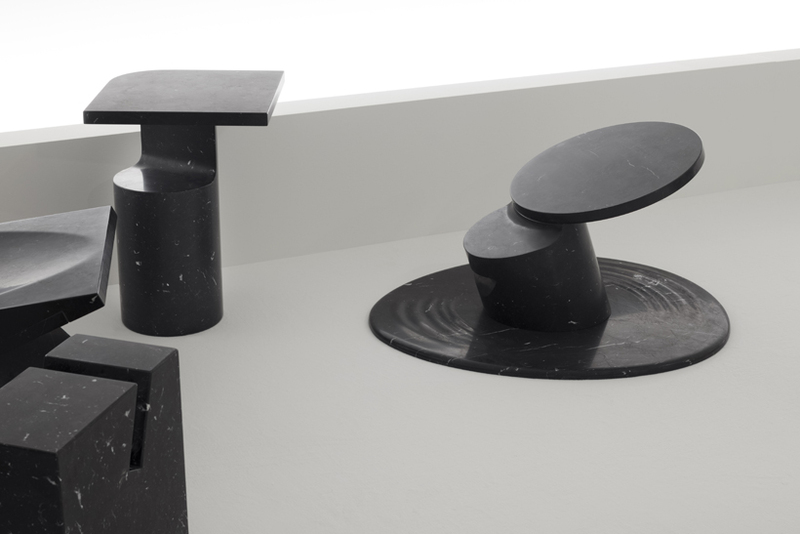 The idea for this space originated from Marsotto’s expertise in marble processing, leading to the decision to use marble for the pedestals, as well as the objects presented. 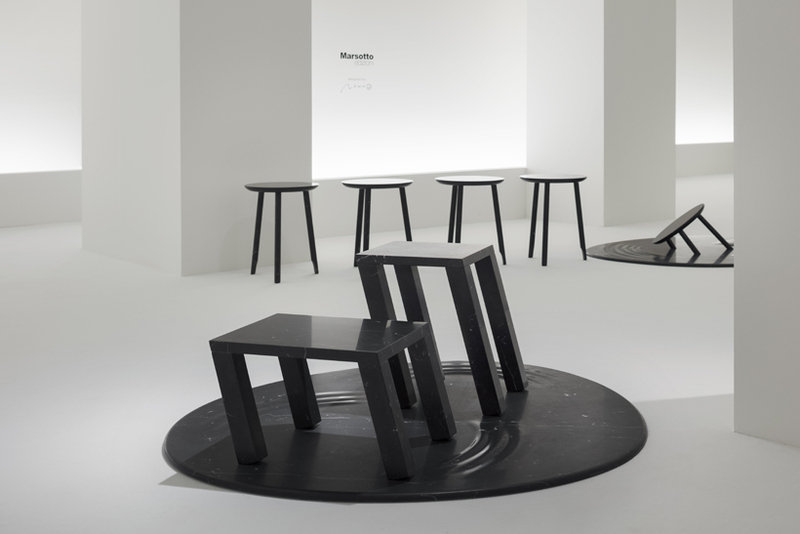 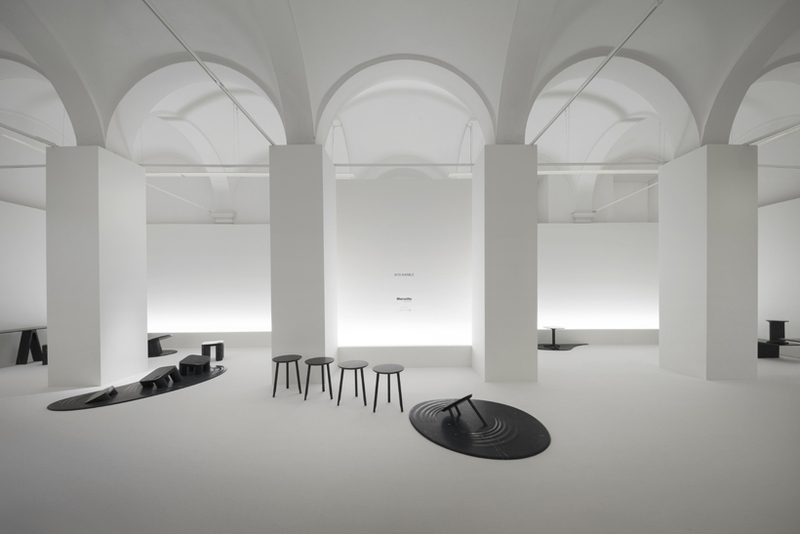 Since this exhibition showcases linear and sharp furniture, the pedestals were designed in contrasting rounded shapes that resemble puddles. 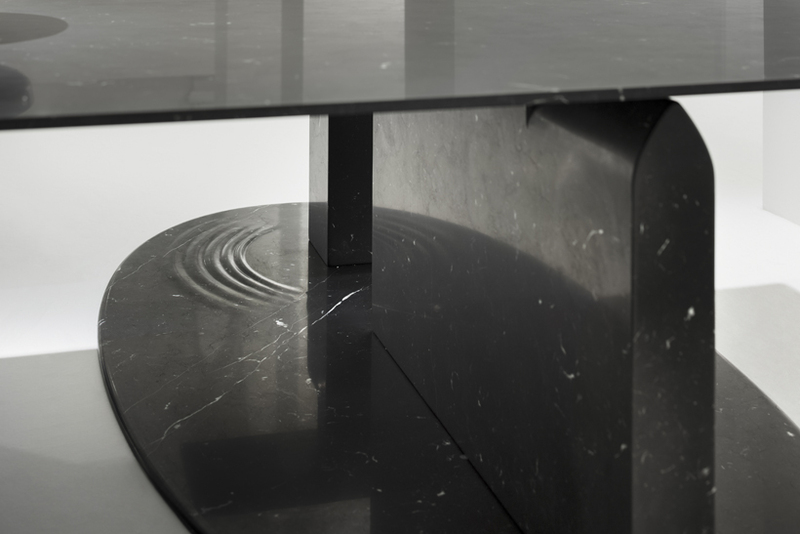 The edges were softened and gentle ripples were added on the top surfaces to accentuate the soft appearance. 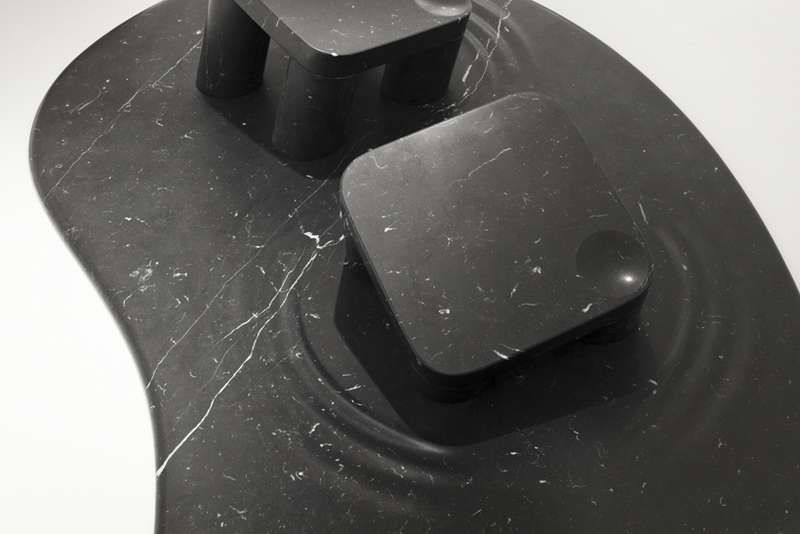 Each piece was produced by a multi-milling machine followed by a manual polishing process. 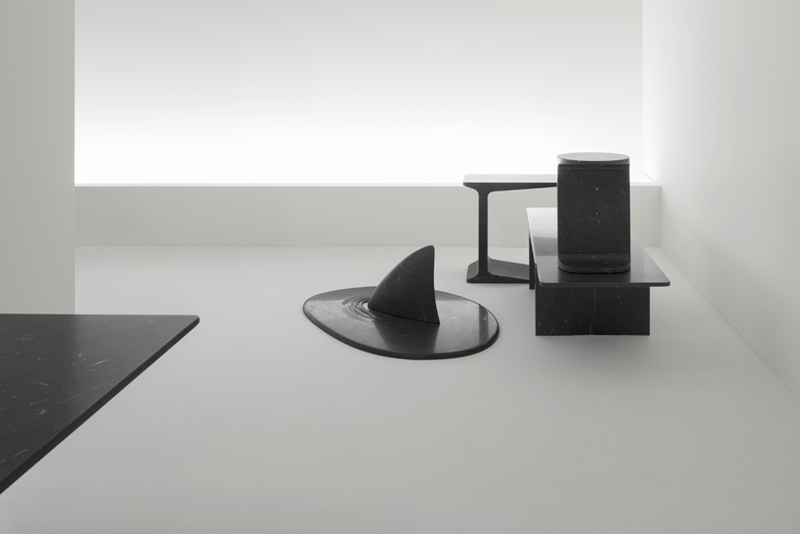 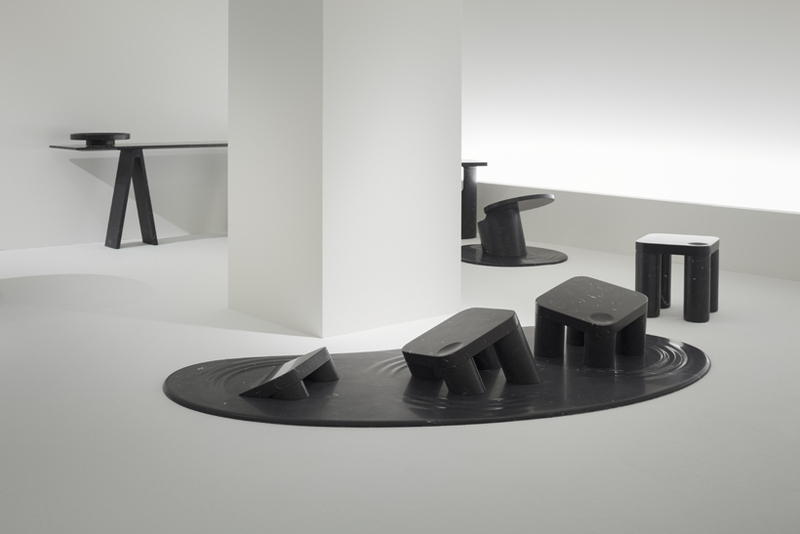 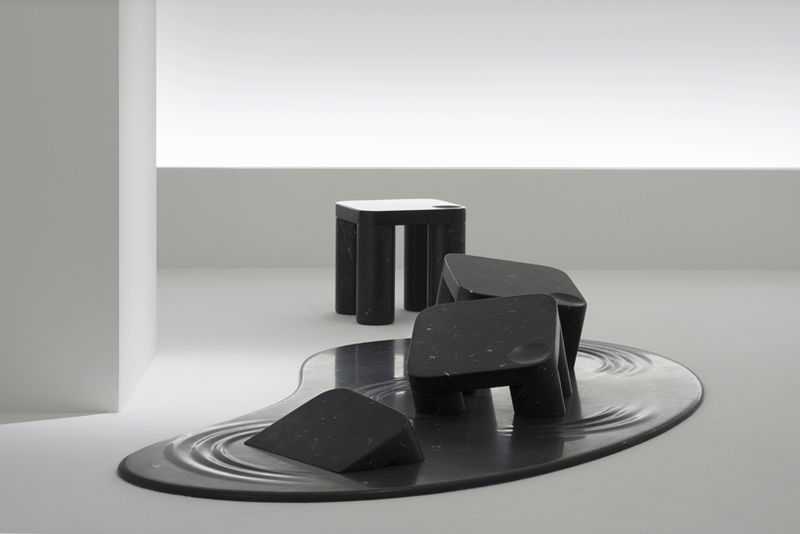 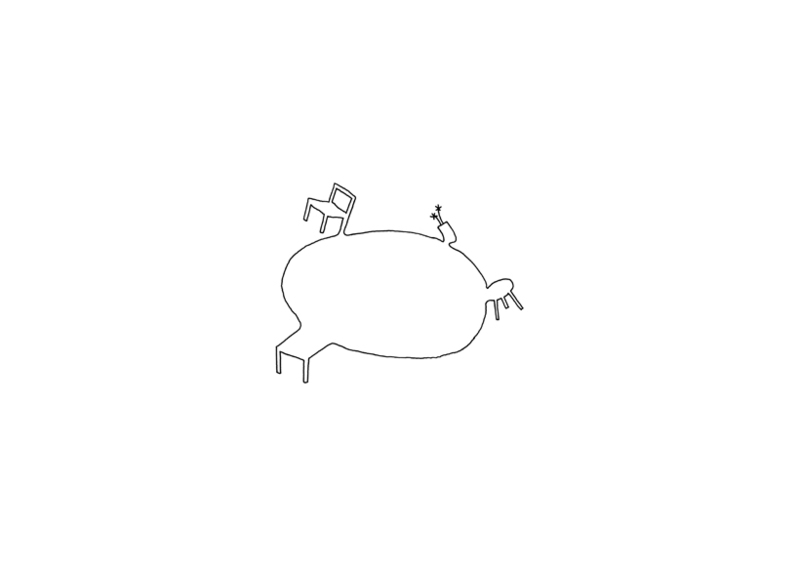 Furniture pieces were placed on top of the puddle-like stands, creating an ambiguous expression that can either look as if the objects are melting into liquid or emerging from it. 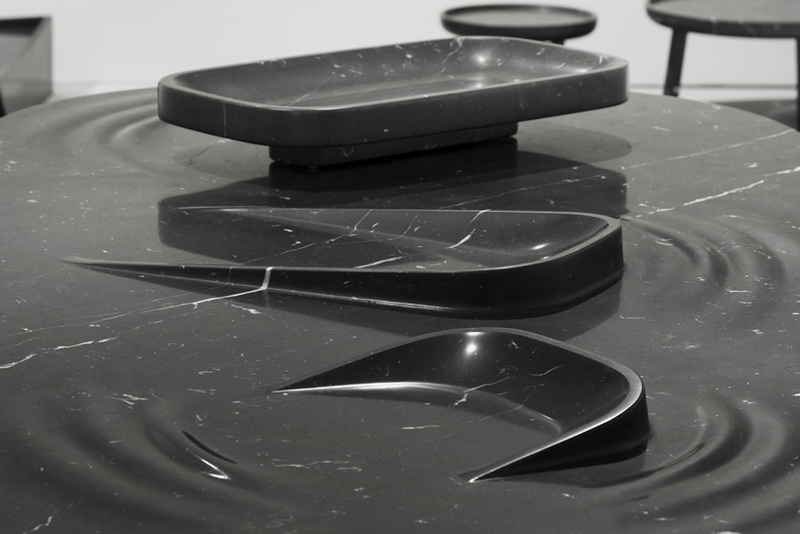 Moreover, some pieces seem as if they are sinking into others, like a bowl sinking into the table it is placed on. 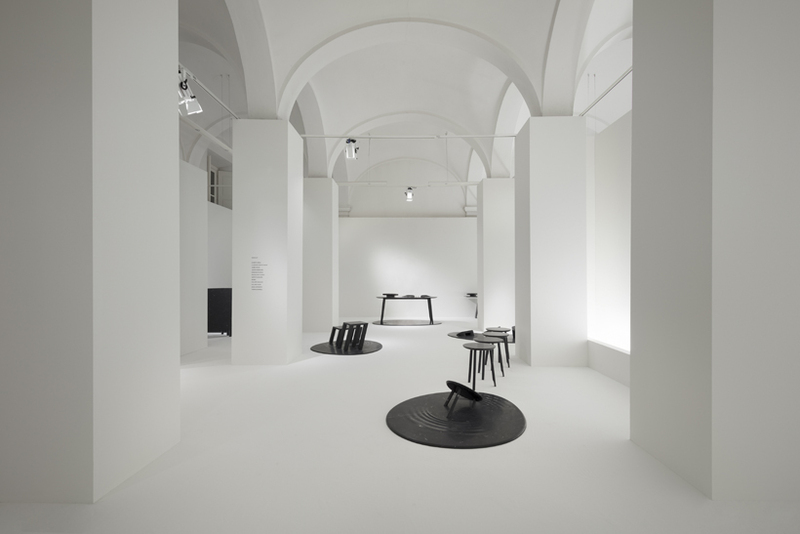 By doing so, an enigmatic exhibition space blurs our perception of which objects are the main exhibits and which are the objects that are displaying them.